It was not a particularly thrilling game, occasionally a sloppy one, but that doesn’t mean the Super Bowl wasn’t good, not if you appreciate work on both sides of the ball. There is something uniquely enjoyable about watching an all-time defense successfully crack an elite offense, or a pass rush so intimidating that it affects every other facet of the game. 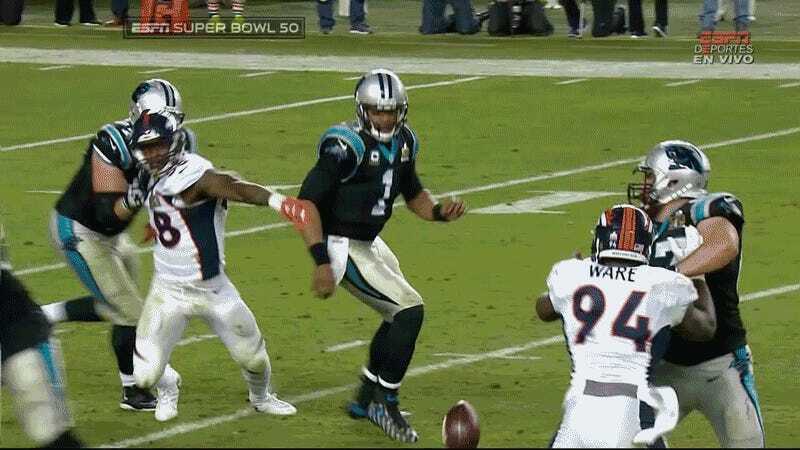 In that spirit, last night’s game-changing play, every bit as exciting and important as memorable as a long bomb, was Von Miller’s second strip-sack of Cam Newton. It was a capper to a game full of pressure on Newton, with Denver’s defense doing all the work—getting points and getting field position that the Broncos’ offense couldn’t muster. To that point, Denver’s only touchdown had been by by defense, and the game-sealing score would come four plays and four yards later after the fumble. DeMarcus Ware, who got a hand on the ball just as Newton pulled up short, said he had no earthly idea why Newton didn’t dive for it. “Maybe he didn’t see it,” Ware offered. Not likely. There were, depending on how charitable you feel like being, a few interpretations of Newton’s inaction. Maybe he misread the bouncing of the ball and got caught flat-footed, or expected it to ricochet off to his right. Or maybe Newton, who had been pummeled all game long, even to the point where media in the building were wondering if he had been concussed when he ran the length of the field to the wrong tunnel at halftime, just didn’t want to get hit again. We don’t yet have an explanation from Newton. (“I don’t know,” was his only comment on the play, a terse answer in a postgame presser full of terse answers.) It’s possible he doesn’t have an explanation. 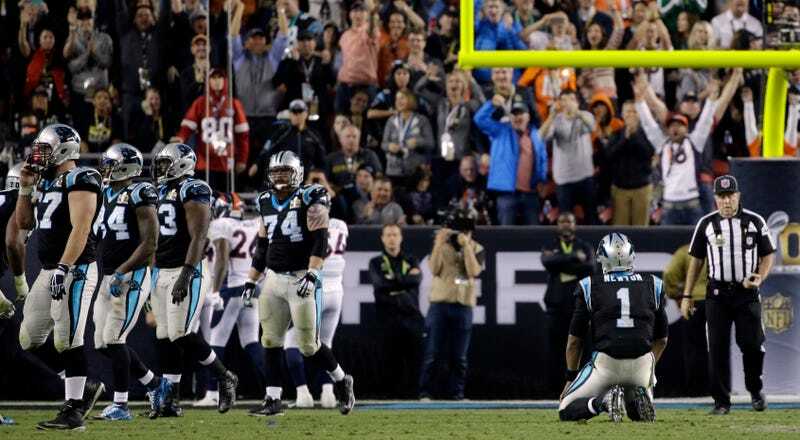 But it seems clear that Newton’s instincts failed him in a moment that the last hope for a championship lay at his feet. It’s a lot to ask someone to dive into a chaotic, enfolding pile like that, where the only guarantee is that it’s going to hurt. But that’s Newton’s job, and he chose not to do it. It’s going to be a long offseason for Newton, whose actions in one night may have reverted a lot of people’s impressions of him back to where they were before this revelatory season. It’ll take a lot, and a long time—maybe it’ll take a ring—to erase the image of him hop-stepping away from that loose ball. He’s going to see it and hear about it and be asked about it right up until next season starts. At least he’ll be healthy.